At 8-10th April there was a 5th Alternatives Computer Meeting in Wolfsburg/Germany. 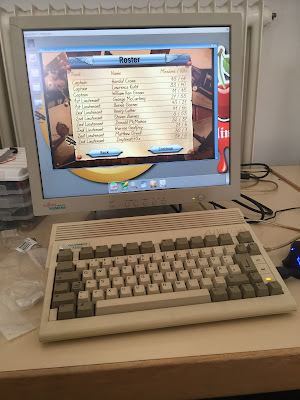 Last year I was there to make an interview with Petro Tyschtschenko, this year I was there whole weekend with my Amiga 2000 and MacBook Air running AmigaOS 4.1. 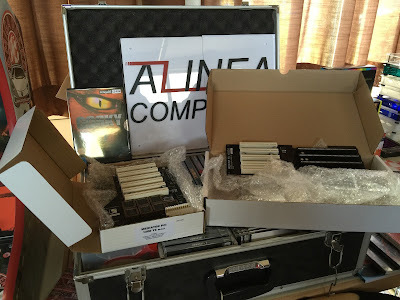 Thanks to Kymon Zonias I have updated post with some photos of first AmigaOne for A1200 and Engine-X from Entwickler X. 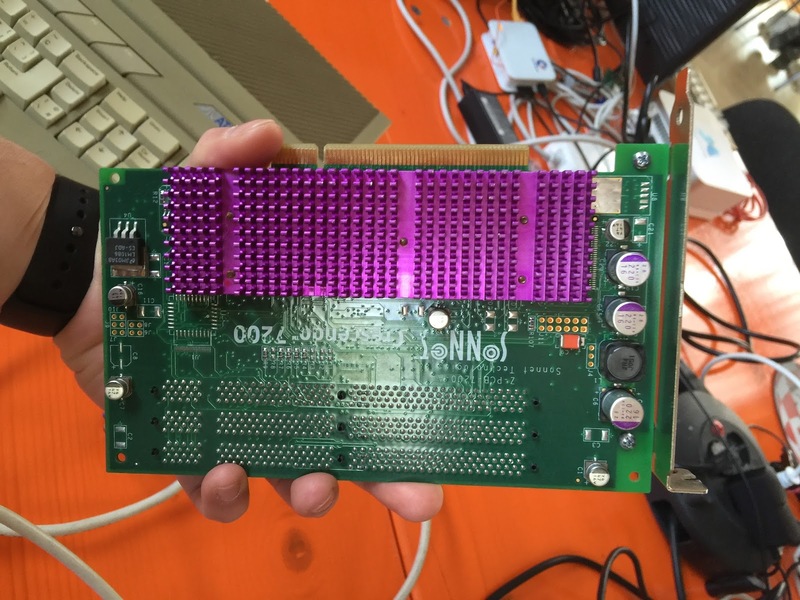 Besides of making new friends I had opportunity to meet in real live Dennis Boon and take a closer look at Sonnet PowerPC in Amiga 3000. You can also listen to AMIcast Episode 8th with him. I made an interview with guys responsible for making the party: Silke Block and Dalibor Matos. Of course there were much more involved persons (and effort) to make it happen. From the party place, through the organization of all things to the grilling place. There is also special room to make presentations if somebody wants. To learn more you should listen AMIcast Special Episode 3! There is also short speech with Dennis about his progress with Sonnet (and there are the news!). Episode has shorted audio from the streaming of Sonnet and Vampire in action. I had a chance to meet Daytona - developer who brings for us Wings Remastered and Tower 57! There was a time to make an interview with him, so in next month it will be released in AMIcast! Of course this is not all, there were also developer of Amiga Racer: Michael St. Neitzel, with his own arcade game machine. 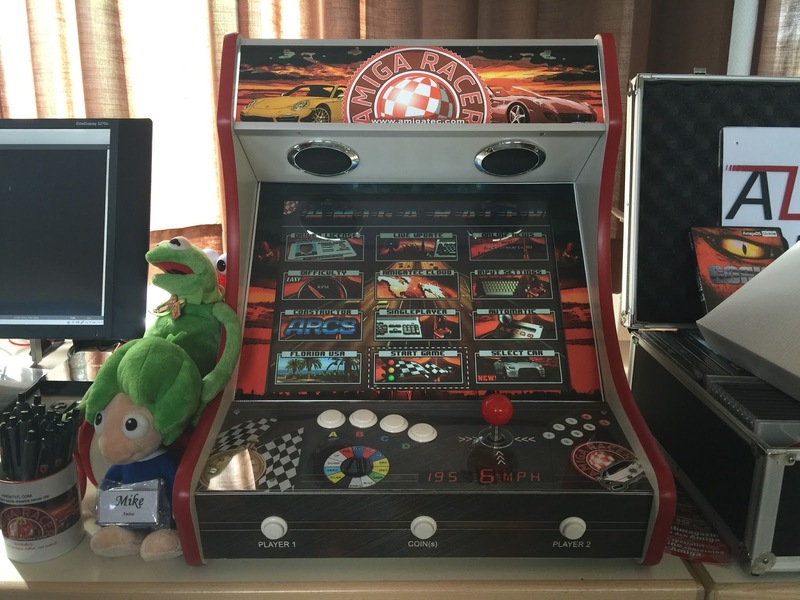 He prepared a special version of the game - Amiga Racer Collectors Edition, limited to 25 pieces. There was also very well known and great developer - Entwickler X with his Engine-X! And this is not all, there were possibilities to buy some stuff: used things (I bought A600, thanks Dali!) to the new hardware like Mediator PCI TX black, software, games and more thanks to the Alinea Computer. There where chance to see Tabor board (A-EON) - "replacement" for Sam 460, or in other worlds not so expensive AmigaOne. 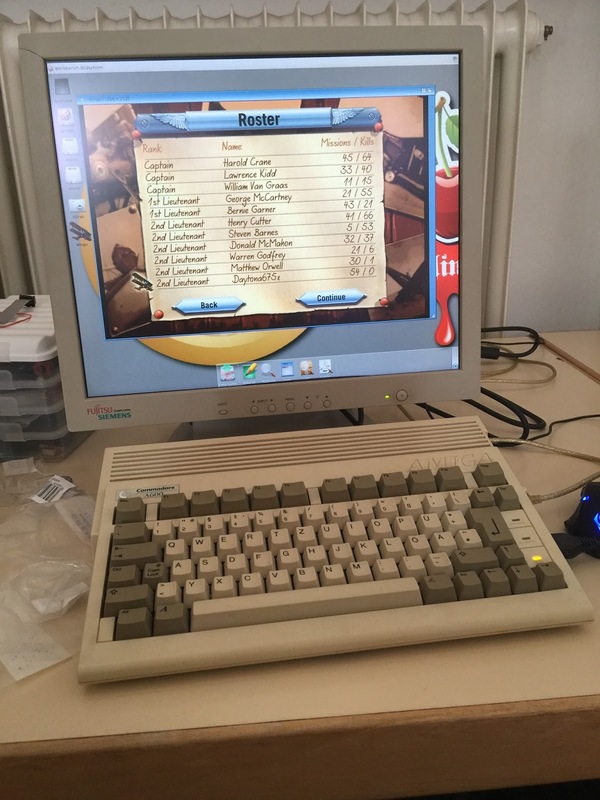 :) Till now it's running on Linux, but in the future AmigaOS 4.1 is expected. Like the name of the party says, it's not only Amiga focused thing. 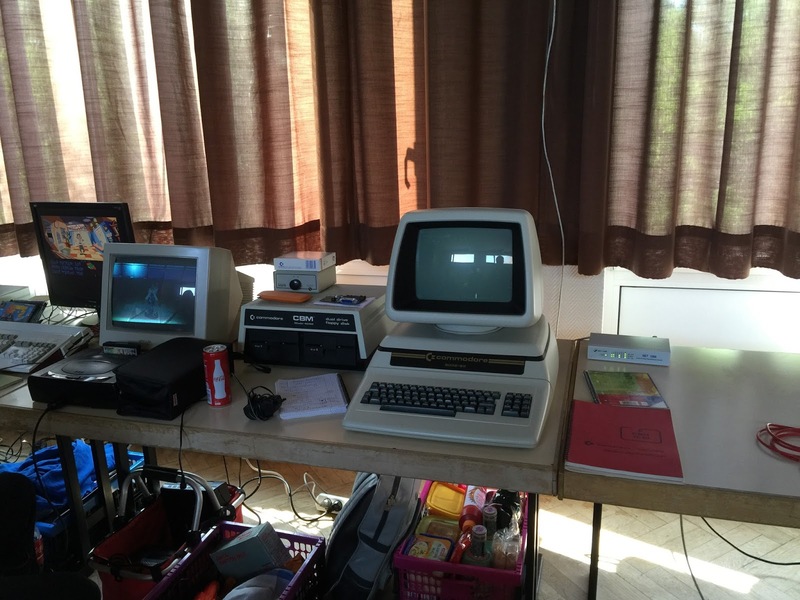 It was possible to enjoy computers like Atari or Commodore. Projects mentioned above are not the whole stuff. There were also Zeus68k for A500 (turbo based on 68SEC000 processor) - from Mastertabs and C64 Graphics Chip Memory Expansion. 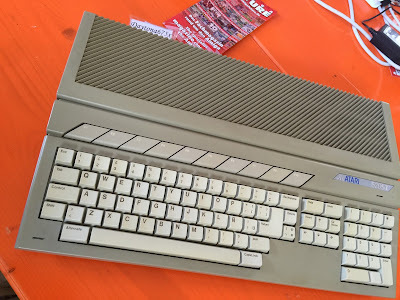 There was also first AmigaOne as connection board for Amiga 1200 from Eyetech/Martin Schüler. 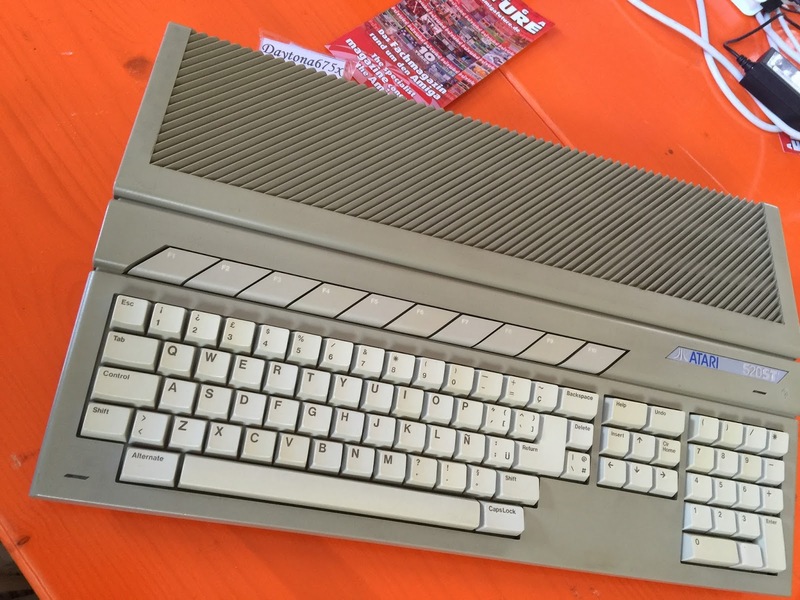 More infos about ACM you can find amiga-lan-party.de. There are photos from the years 201x, informations about guests/visitors and more. All is in German, but international guys are of course welcome. :) Webmaster of the site is Yenzi, she also cares about Coffee-Bar during the meeting. Dosyć unikalne zdjęcia prototypu - pierwszy raz chyba tak dobrze pokazany napis "AmigaONE-1200"
I like your post very much, and it helped me a lot. Hope that we can communicate with each other. AmigaONE 1200 - INCREDIBLE PHOTOS, thanks SO MUCH for sharing. I think it will take time to have A1222 in your house... But it could be a great piece of hardware on a budget.